Made his debut with Vilniaus KM-Krantechna (Lithuania), VMKS, during the 2012-13 season. Signed for the 2014-15 season by VKM-Citius Vilnius, RKL. Signed for the 2015-16 season by Perlas-MRU Vilnius. Signed for the 2016-17 season by Lietuvos rytas Vilnius, played also with Perlas-MRU. In December'17 signed by Nevezis Kedainiai. 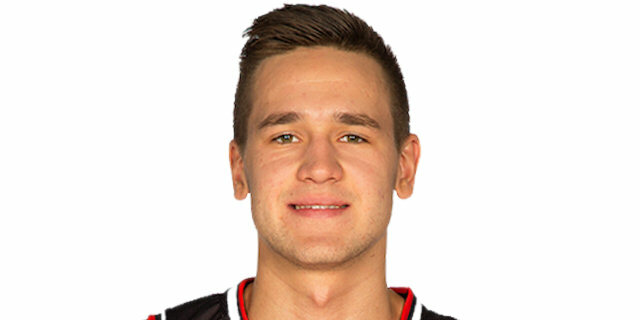 Signed for the 2018-19 season by BC Rytas Vilnius.